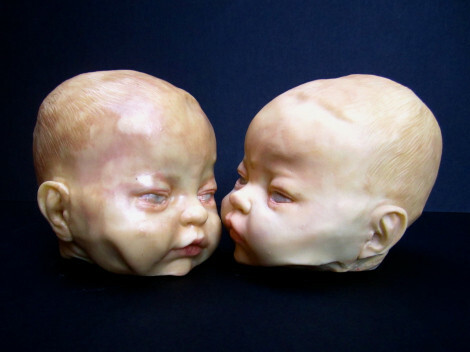 brandflakesforbreakfast: would you eat these... baby heads? would you eat these... baby heads? At first glance you may not consider eating these… but they are in fact, edible. Chocolate anyone? These creepily realistic baby heads are made from solid white chocolate and are the size as the head of an infant. Creations are by Annabel de Vetten of Conjurer’s Kitchen.